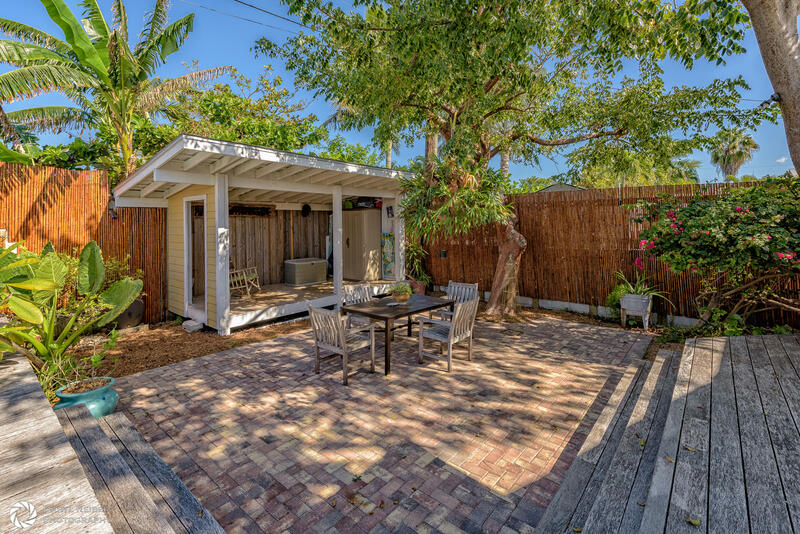 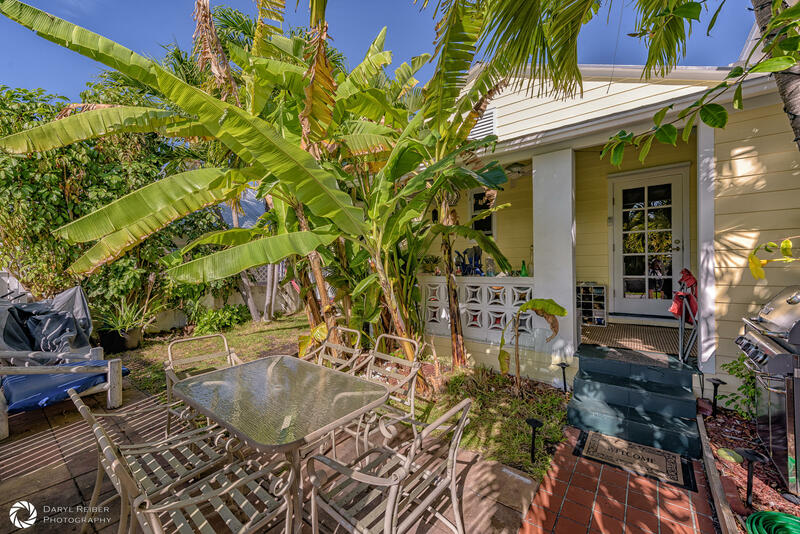 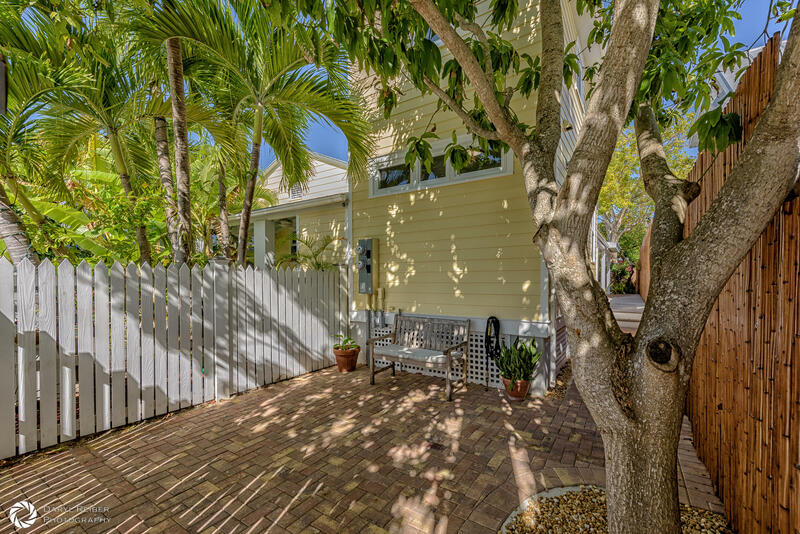 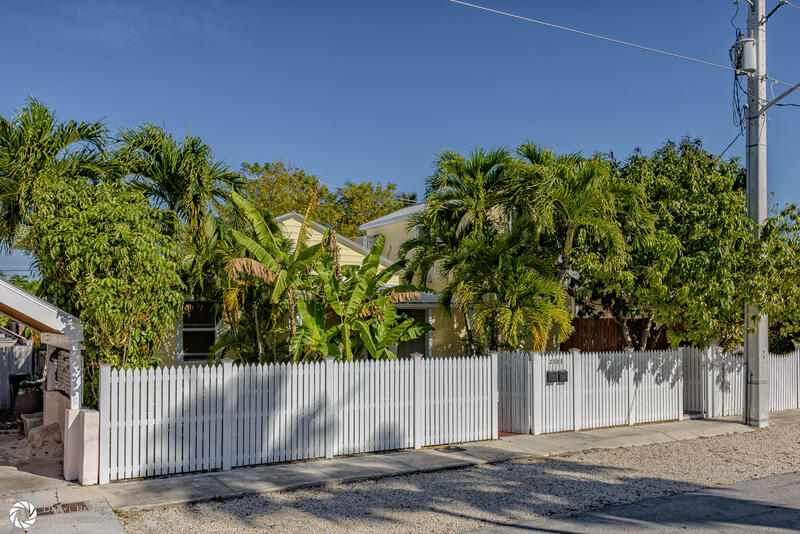 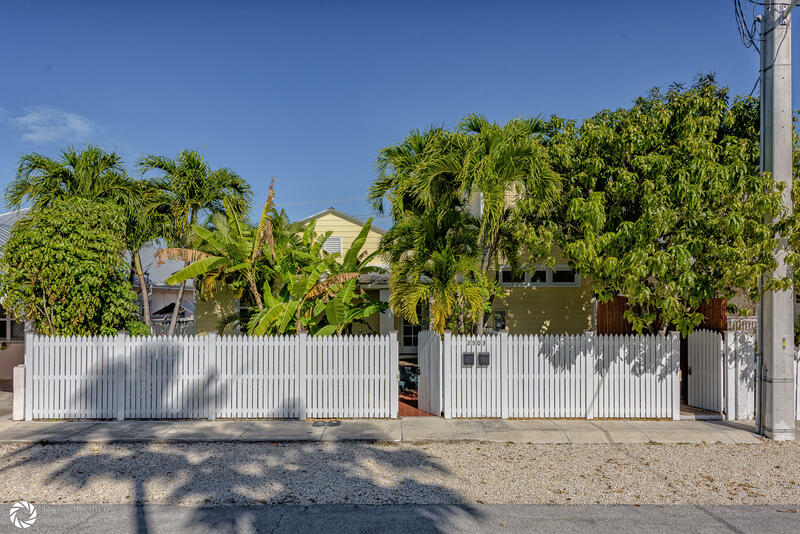 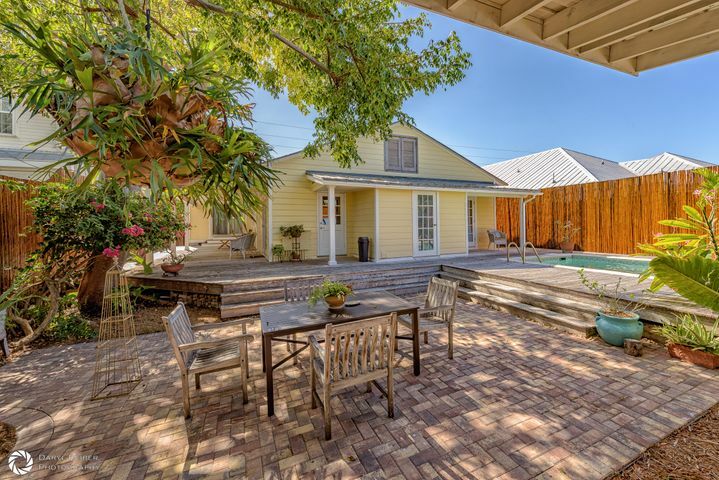 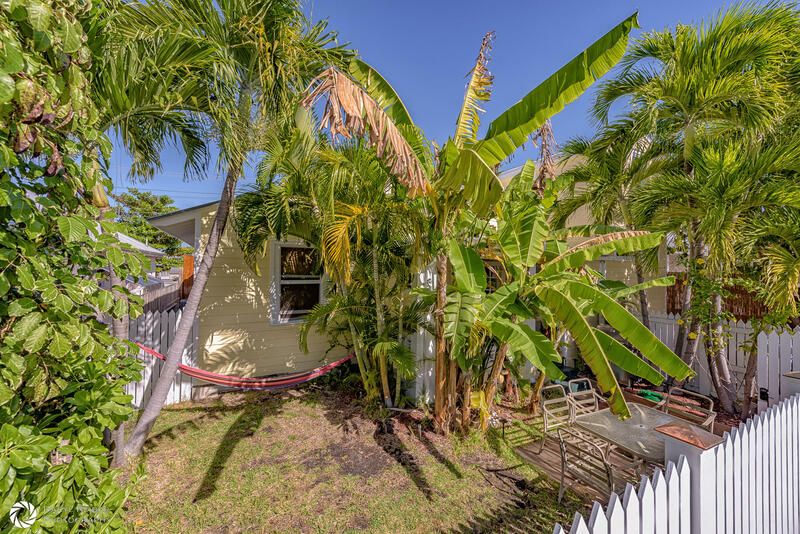 This Keys home is an incredible investment opportunity currently projecting gross annual rental income of $87,600. 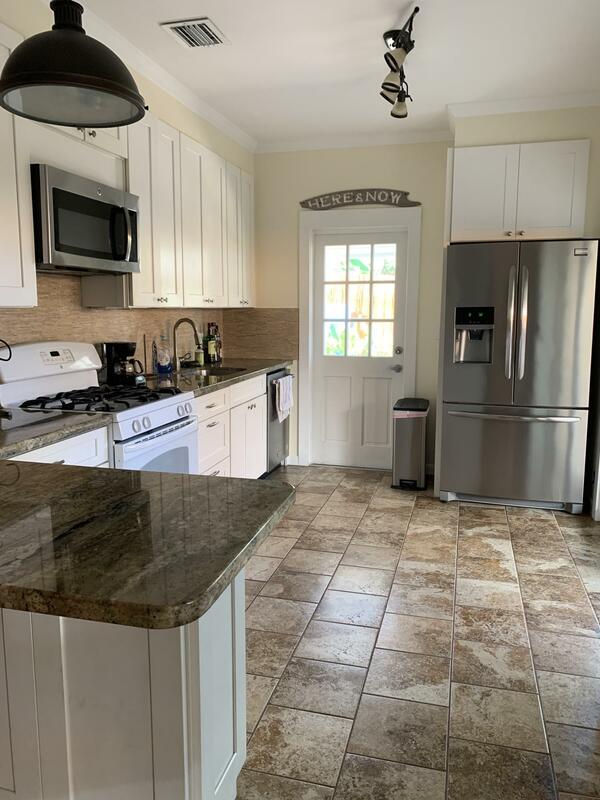 A multi-family home with two separate meters, two full kitchens, many options for income and personal use...perfect for customizing to your unique goals and personal plans for your Keys homeownership. 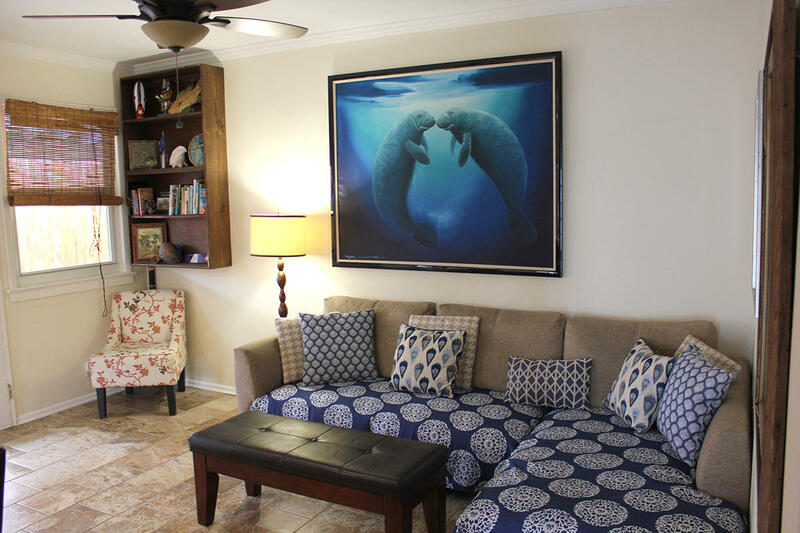 Perfect opportunities for both long-term (annual) rental, monthly vacation rental, and owner occupation amongst the three units. 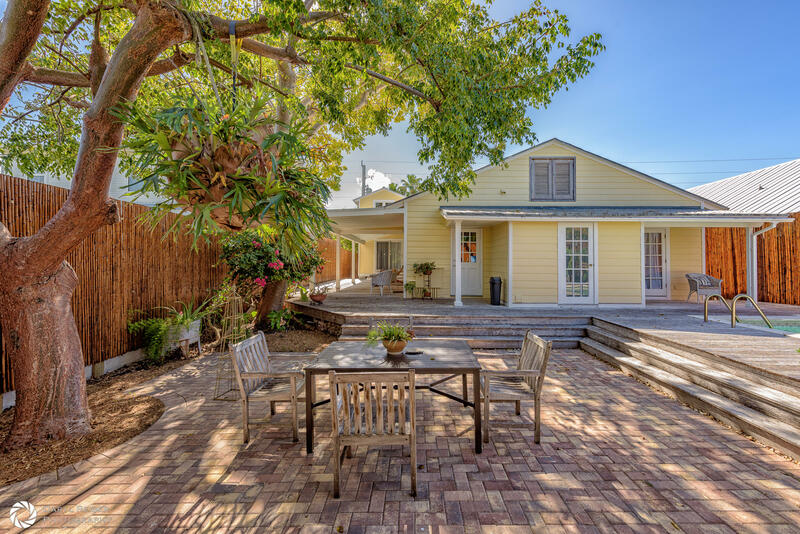 The property includes a sunny private pool, a vast, fully-fenced yard with mature landscaping. 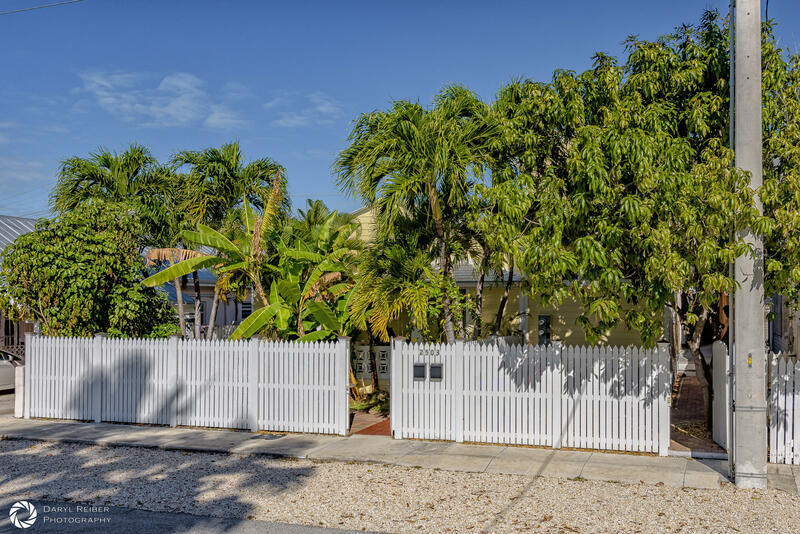 Plenty of available parking out front and ample space throughout the fully fenced property for bikes, scooters, and storage. 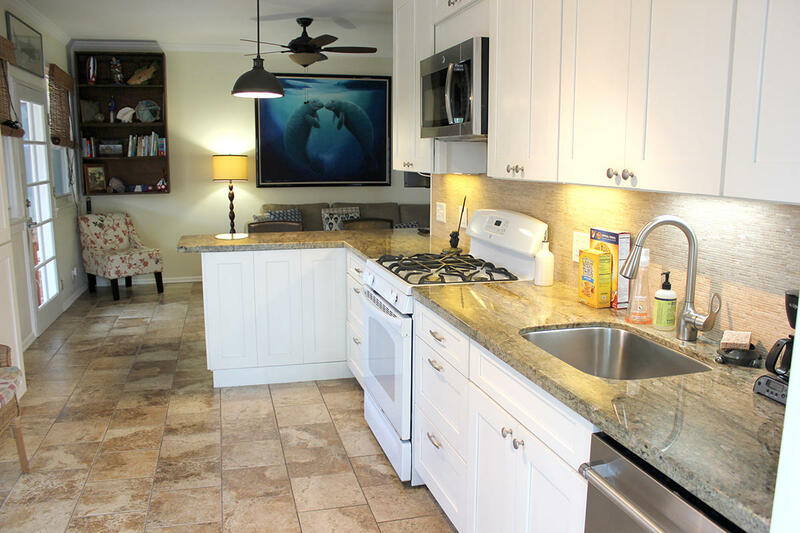 The main unit in the back of the house is a 2 Bedroom, 1 Bathroom one-story layout with an upgraded kitchen. 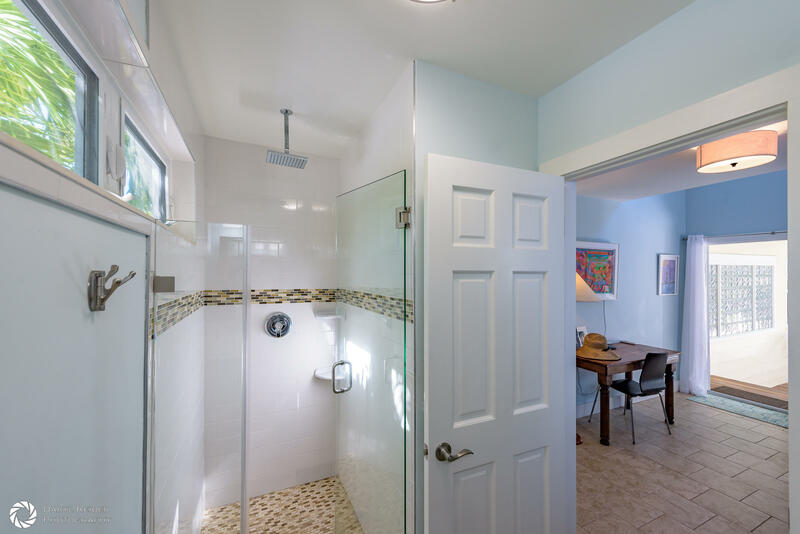 French doors open out to the pool area and the bathroom has an easy door out to the pool as well. 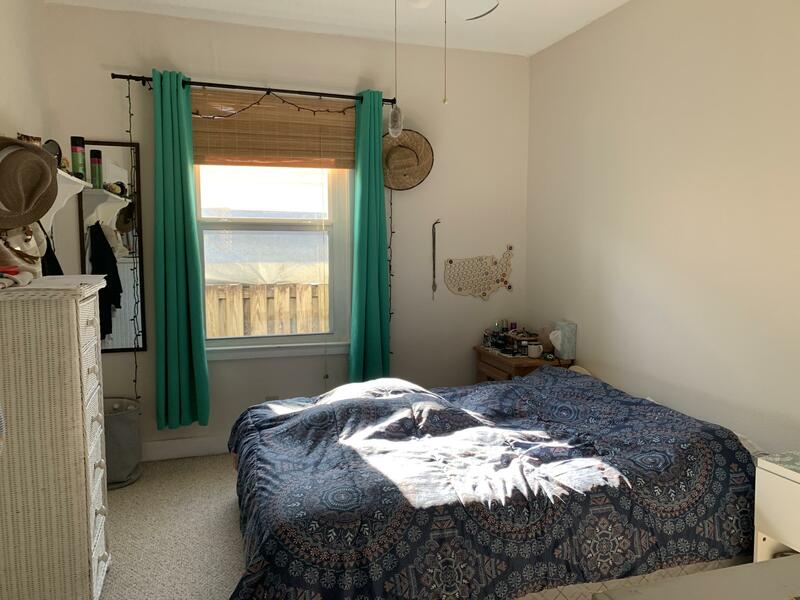 The back unit has central AC and a new washer and dryer. 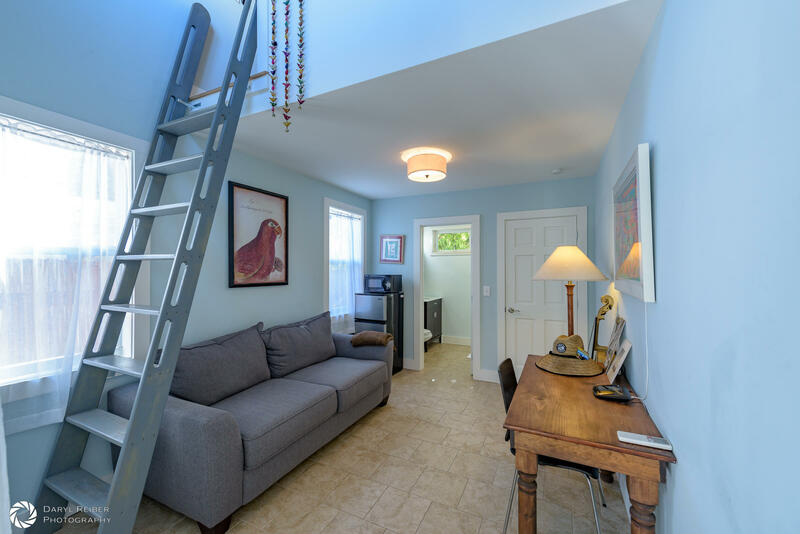 The back unit has been rented as both a long-term rental and a vacation rental and consistently sees $42,000 per year ($3,500 per month) in gross revenue as a long-term rental. 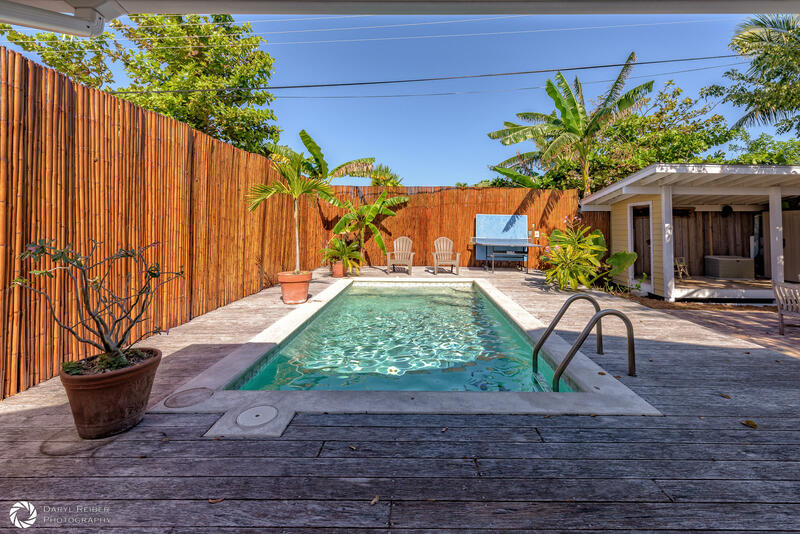 When rented as a vacation rental, monthly income ranges by month of the year. 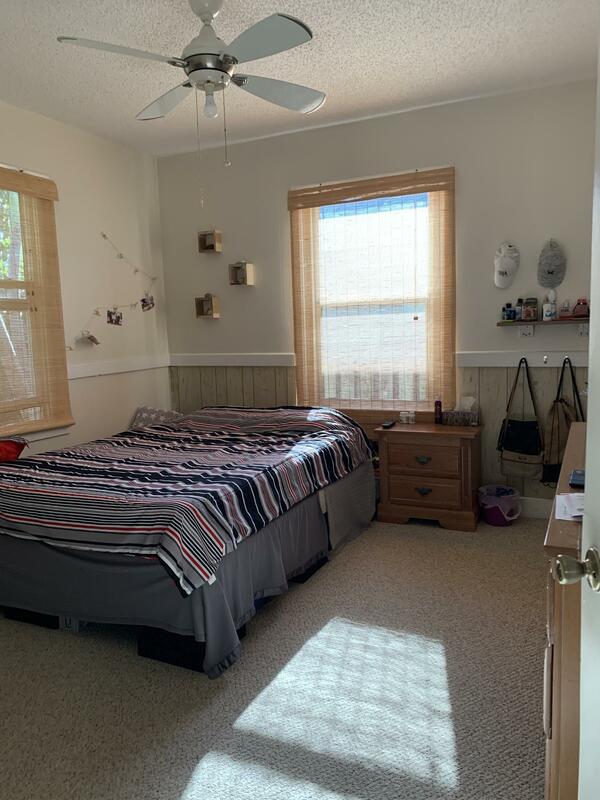 The front unit is a 2 Bedroom, 1 Bathroom one-story layout with a full kitchen, spacious living room, washer & dryer, and fenced in front yard. 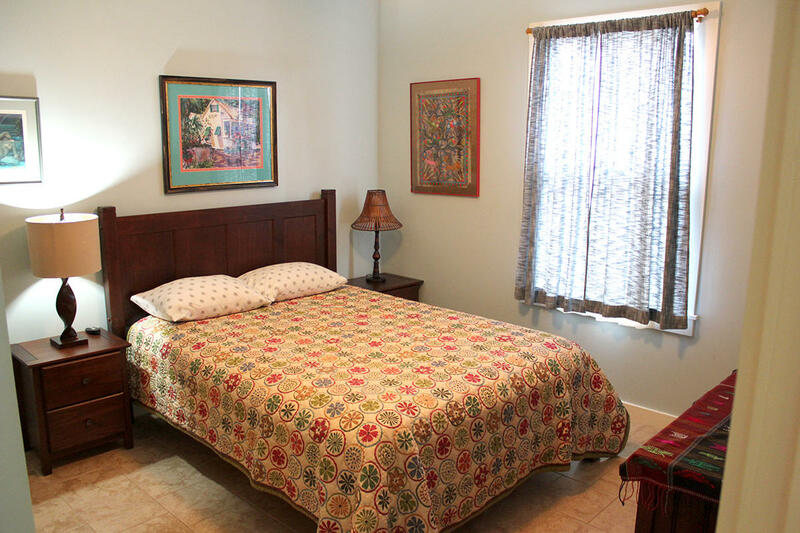 It is rented as a long-term rental and has been occupied consistently with no vacancies for many years. 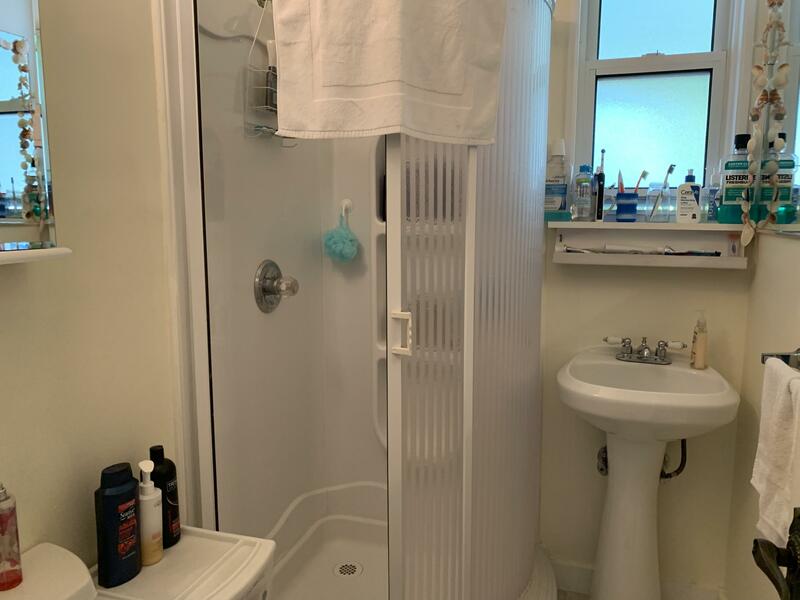 It currently sees gross rental revenue of $30,000/year ($2,500 per month) for the front unit, plus tenant pays utilities. 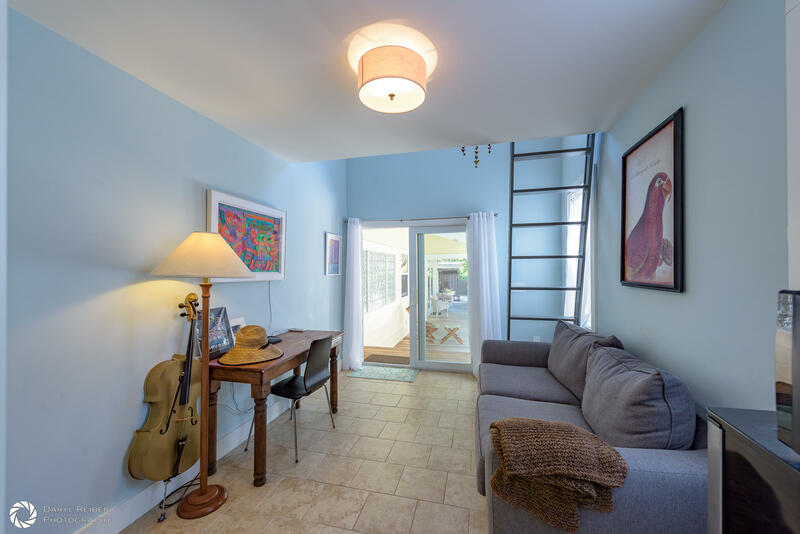 The tower suite is a two-story studio-style loft apartment with a full bathroom and a closet. 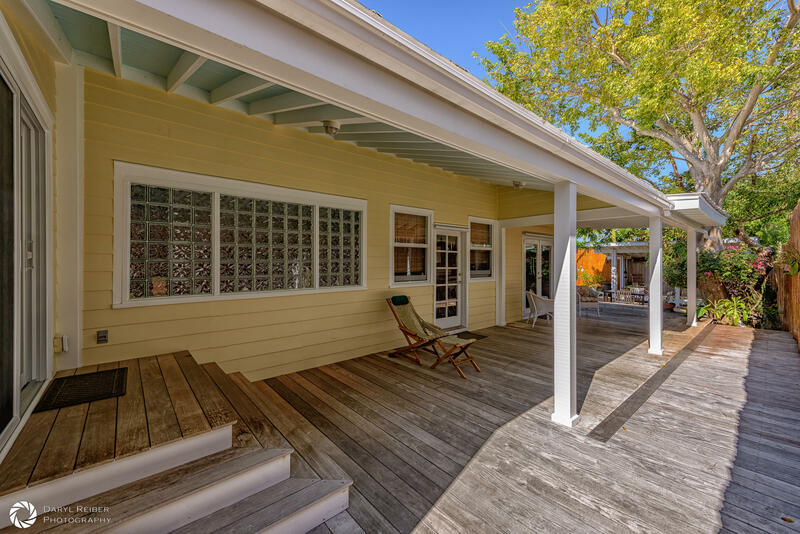 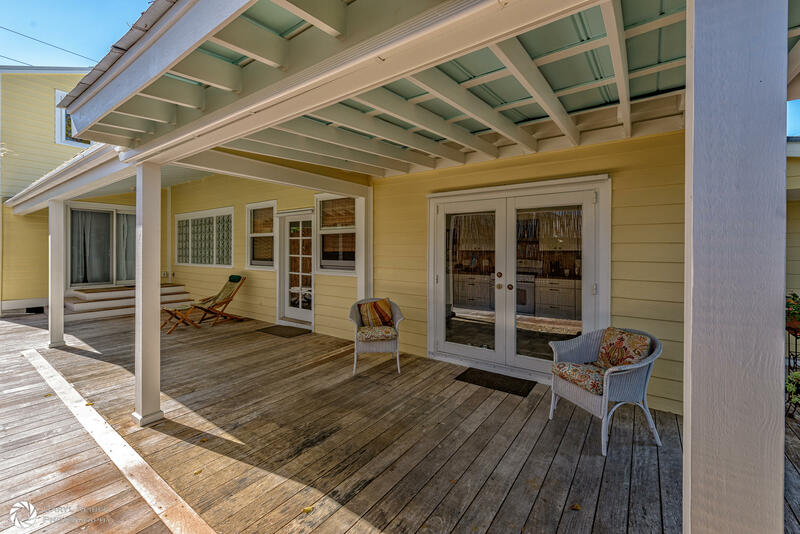 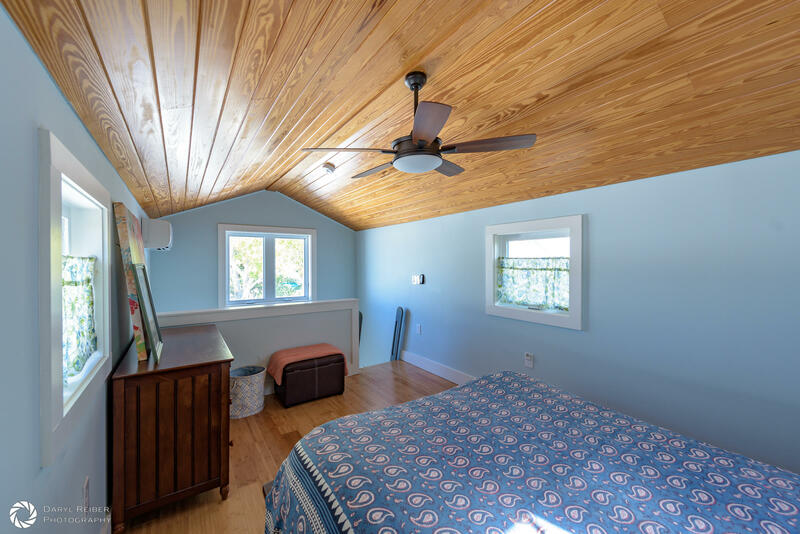 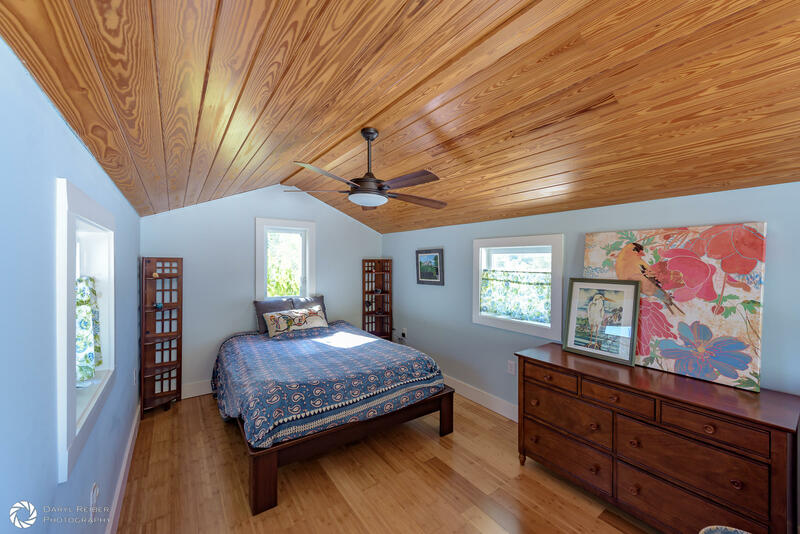 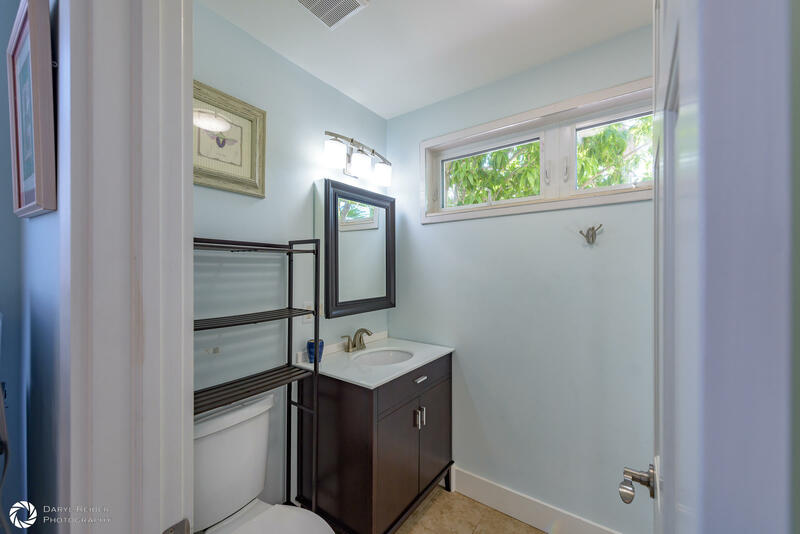 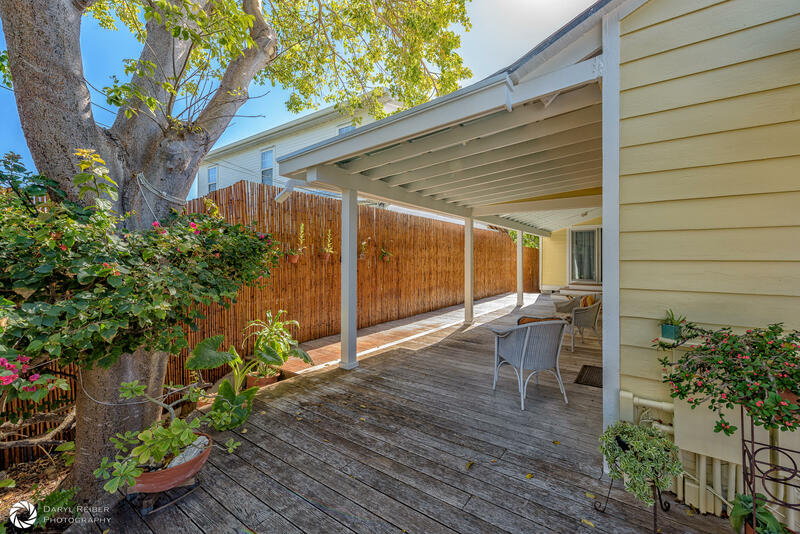 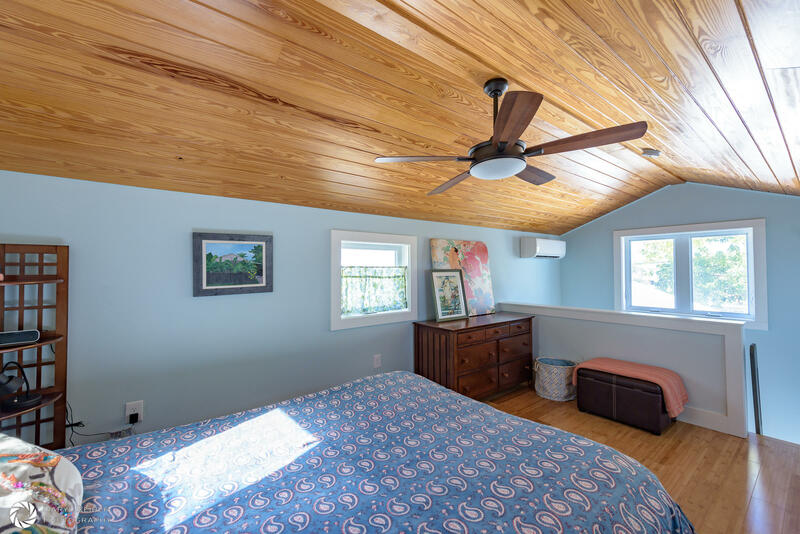 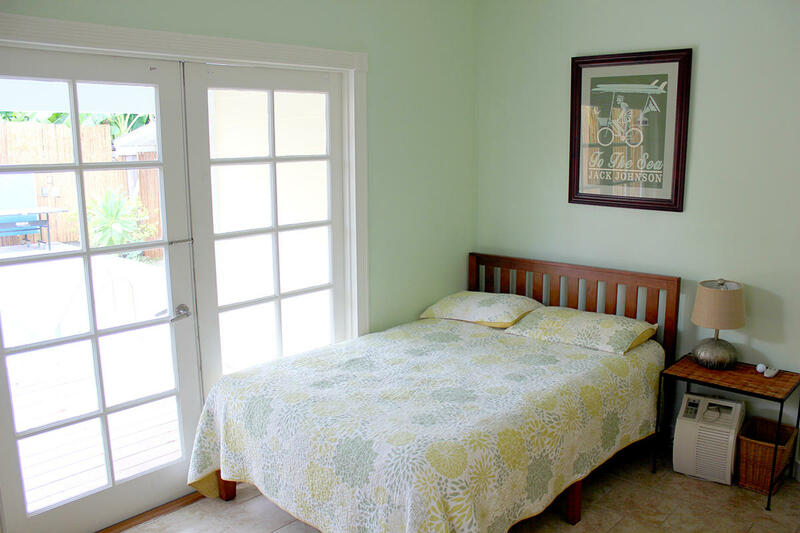 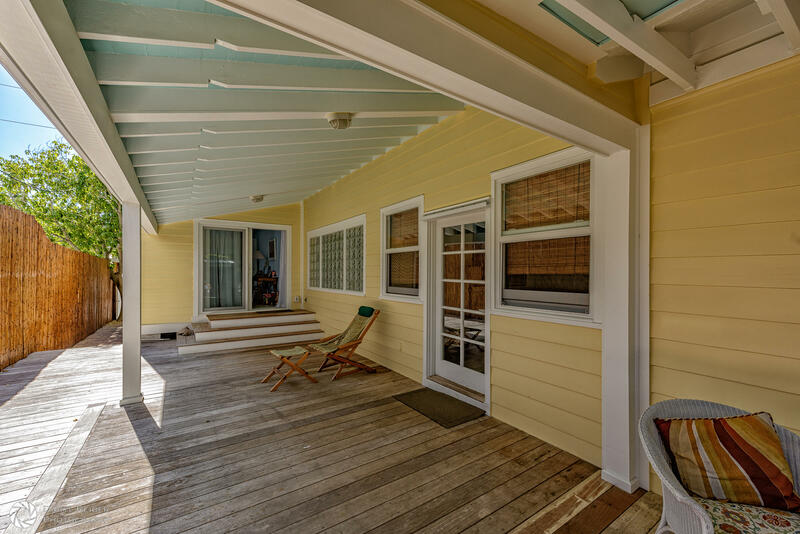 Accessed by sliding glass doors off of the back deck, this cozy suite is perfect for a casual owner lockout for owner stays or a long-term rental up to $15,600/year ($1300 per month). 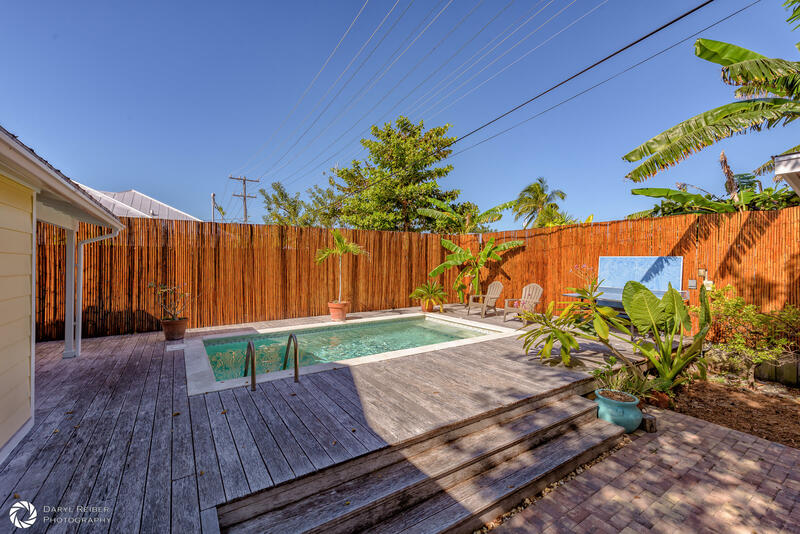 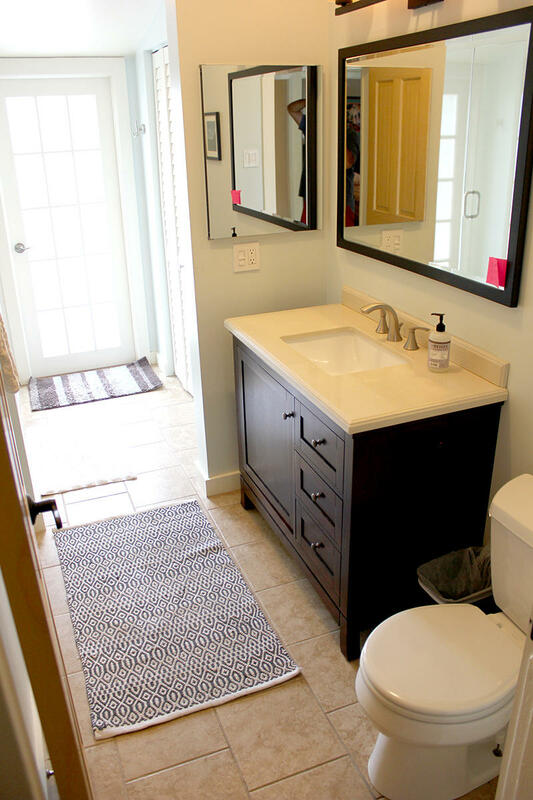 Don't miss this perfect opportunity for investment, personal use, or a lot of both.